President Obama this week appeared to have gathered sufficient support from Congressional Democrats to block a Republican effort to defeat the Iranian nuclear deal. Under the terms of legislation passed earlier this year, Congress has the authority to review and vote down the proposed agreement. But the deal will take effect if Congress is unable to vote it down. Now that President Obama has garnered the support of at least 34 Democratic Senators, the Republican bill defeating the proposed agreement will not be able to be sustained in the face of a certain Presidential veto. From the perspective of its defenders, the agreement represents the best possible outcome of negotiations with Iran, and will make it impossible for Iran to secure a nuclear weapon for at least the next decade. From the perspective of its critics, the deal is ineffectual at best, and at worst undermines international efforts to prevent Iran’s acquisition of a nuclear weapon. Regardless, the Obama White House clearly invested significant political capital in the deal’s success, and it appears that that investment will now pay off with the implementation of the new agreement. What do you think? Will the Iranian nuclear deal be effective in preventing Iran from acquiring nuclear weapons? Would you support or oppose the deal if you were a member of Congress? Why? The United States and Iran reached agreement placing limits on Iran’s nuclear regime in exchange for ending Western sanctions on Iranian exports. In a press conference announcing the agreement, President Obama said the agreement would guarantee Iran could not produce nuclear weapons. In exchange for ending the sanctions imposed by the United States, the European Union, and the United Nations Security Council cost Iran an estimated $150 billion per year in lost oil export revenue and resulted in the seizure of billions in Iranian assets held in Western banks. The deal ends those sanctions but keeps the weapons embargo on Iran in place for an additional five years. 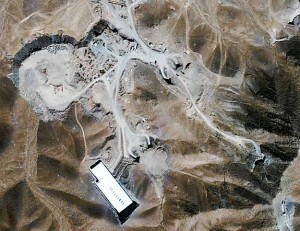 The deal permits weapons inspectors to access “any site they deem suspicious,” an apparent rejection of Iran’s position that military sites be excluded from inspections. The deal still faces opposition from a Republican-controlled Congress, which had previously passed legislation requiring Congressional approval of any deal reached on Iran’s nuclear program. But as the New York Times reported, President Obama is likely to get the deal implemented despite Republican opposition. Under the terms of legislation passed in May, Congress has 60 days to scrutinize the accord between Iran and the United States, Britain, France, China, Russia and Germany, and then to vote to accept or reject it — or to do nothing. The president can veto any resolution of disapproval. Congress needs a two-thirds majority in each house to override the veto, so to put the deal into force, Mr. Obama only needs one-third of one of the houses to stand with him. That said, the Israeli government was also critical of the deal, arguing that the new agreement does nothing to prevent Iran’s acquisition of nuclear weapons and only delays its progress for a short period of time. What do you think? Does the new deal represent a significant diplomatic achievement for the Obama administration? Will it be effective in preventing Iranian efforts to acquire a nuclear weapon? Why? 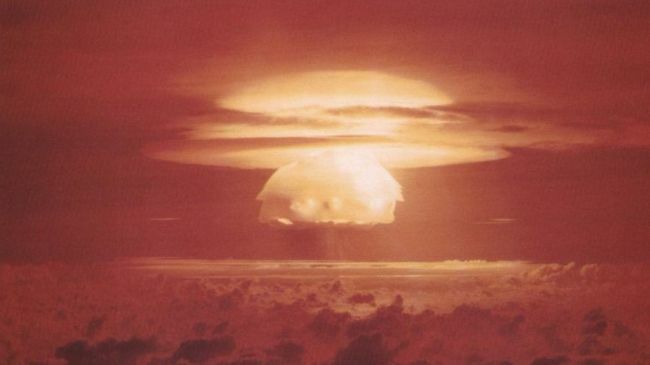 Atmospheric nuclear tests were common in the Marshall Islands in the 1950s. The Republic of the Marshall Islands today filed suit against nine nuclear armed states at the International Court of Justice in The Hague, contending that the nine countries (China, France, India, Israel, North Korea, Pakistan, Russia, the United Kingdom, and the United States), were in violation of their obligations under international law to move towards complete nuclear disarmament. The Marshall Islands also filed a separate suit against the United States in the Federal District Court in San Francisco. At its heart, the case centers on a claim by the Marshall Islands that the five countries who have signed the Nuclear Non-Proliferation Treaty (NPT) (China, France, Russia, the UK, and the US) are violating their obligations under the treaty to pursue complete nuclear disarmament “at the earliest possible date” as specified in the treaty. The Marshall Islands contends that the four non-signatory states (India, Israel, North Korea, and Pakistan) are violating customary international law by developing nuclear weapons. Despite the Nuclear Non-Proliferation Treaty, several states are seeking to modernize their nuclear arsenals. In total, there are more than 17,000 nuclear warheads in existence, 16,000 of which are held by the United States and Russia. While this figure is down sharply from Cold War levels, the Marshall Islands asserts that modernization of nuclear arsenals violations NPT obligations to pursue disarmament. The Marshall Islands were the site of US nuclear tests after World War II. In total, 67 atmospheric nuclear tests were carried out in the Marshall Islands, the last of which took place in 1958. What do you think? Will the Marshall Islands be successful in slowing or stopping the modernization of nuclear arsenals through the international legal system? How do you think the ICJ might approach the question? How will the nuclear powers respond? Alex Wellerstein, a nuclear weapons historian at the Center for History of Physics at the American Institute of Physics, has produced an amazing (if somewhat ghoulish) tool for thinking about the potential impact of nuclear weapons. The Nukemap takes advantage of Google Earth’s 3D technology to evaluate the impact of various sized nuclear explosions—ranging from the 20 ton “Davy Crocket,” the smallest nuclear weapon ever created, to the massive 100 megaton “Tsar Bomba,” the largest ever created. Once a target is selected, the impact of explosion can be viewed, fallout patterns can be plotted (taking into account prevailing weather patterns and topography), and casualties are estimated. It’s a very interesting addition to thinking about nuclear deterrence and proliferation, and I’ll certainly add it to my list of teaching resources for future use. The video echoes the trailer for the 2012 remake of the Cold War classic Red Dawn. The 2012 remake positions North Korea as the invading force occupying the Pacific Northwest. (In an interesting aside, the studio spent more than a million dollars in post-production to change the enemy forces after the film had been shot. Originally, the invading army was supposed to be Chinese, but they were recast as North Koreans in an effort to expand box office earnings in China). But while the parallels between the two are humorous, the increasing bellicosity from the North Korean regime is causing concern among Korea-watchers. The North Korean government last week announced it was invalidating the armistice that ended direct hostilities in the Korean War in 1953. It has also stepped up nuclear testing and long range missile testing in recent months. Meanwhile, the United States is expanding operations on the Korean peninsula, engaging in joint training operations with the South Korean military this week. North Korean belligerence seems to come in regular cycles. But the current cycle appears to be more intense that others, leading some spectators to question whether the current leader, Kim Jong Un, is more dangerous and less predictable than his father, Kim Jong Il, and grandfather, Kim Il Sung, both of whom led the country previously. Interestingly, North Korea’s closest ally, china, appears to be growing increasingly frustrated with the regime, and has supported expanding sanctions on North Korea in recent months. What do you think? Does North Korea pose a threat to the United States and South Korea? If so, what measures should be taken to address the North Korean threat. Leave a comment below and let us know what you think. On Monday North Korea tested a nuclear device, prompting sharp criticism from the Obama administration and provoking renewed discussions of expanded sanctions in the United Nations Security Council. 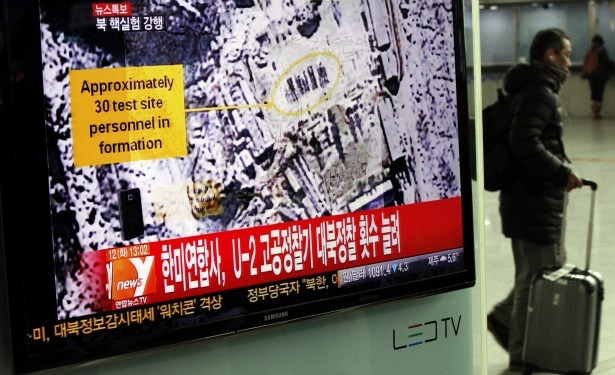 The Central Intelligence Agency reported that Monday’s test was more powerful than previous nuclear tests conducted by the North Korean government in 2006 and 2009. The test, conducted in direct violation of UN Security Council resolutions, led North Korea’s closest ally, the People’s Republic of China, to summon the North Korean ambassador in protest. The North Korean government defended its action as an act of self-defense necessitated by “U.S. hostility,” and promised to continue its efforts if necessary. According to the United States and its allies, North Korea is operating in violation of its obligations under the nuclear Non-Proliferation Treaty, or NPT. What does the NPT actually do? The nuclear Non-Proliferation Treaty spells out the obligations of signatory states under three separate areas. First, non-nuclear weapons states agree not to pursue the development or deployment of nuclear weapons. Second, recognized nuclear weapons states (under the NPT, these are China, France, Russia, the United Kingdom, and the United States, who coincidently are also the five permanent members of the UN Security Council) agree to undertake efforts towards total nuclear disarmament. Finally, the right of all states to the peaceful use of nuclear power is guaranteed. However, there are several nuclear weapons states which are not party to the treaty. India, Israel, and Pakistan—all of which are believed to possess nuclear weapons—are non-signatories and thus fall outside the obligations of the treaty. North Korea was a signatory but formally withdrew from the agreement in 2003. Iran remains a signatory to the treaty but is believed to be developing nuclear weapons in violation of its treaty obligations. South Africa developed nuclear weapons in the 1980s but decommissioned its nuclear stockpiles in the early 1990s, making it the only state ever to voluntarily decommission an existing nuclear weapons capability. So is North Korea in violation of its obligations? The answer depends on who you ask. The United States’ position (generally supported by the international community) is that North Korea’s nuclear program violations its international obligations. North Korea, however, regularly asserts that it withdrew from the NPT and can therefore pursue a nuclear program in its self-defense. This, of course, raises the broader question about the effectiveness of nuclear weapons as a deterrence. 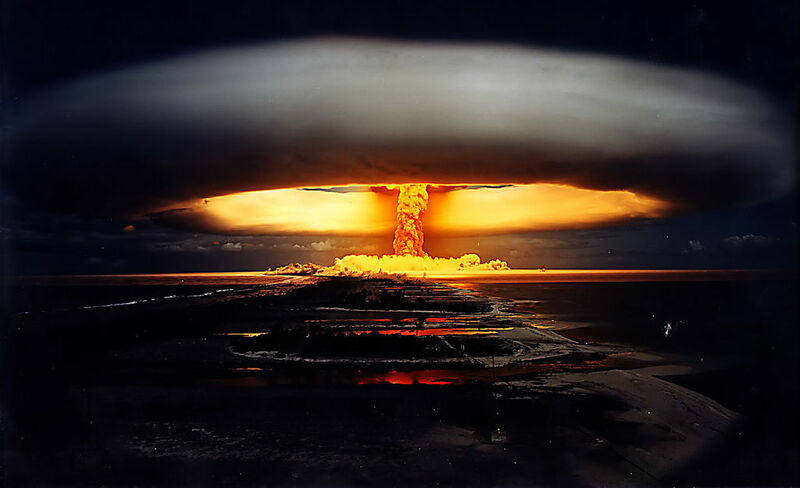 The doctrine of mutually assured destruction, popularized during the Cold War, suggests that the threat of total destruction associated with the use of nuclear weapons by two nuclear weapons powers renders the use of those weapons unfeasible, as no winning strategy could result. The use of nuclear weapons is essentially self-defeating. But the threat posed by possessing nuclear weapons—indeed, the prestige of nuclear weapons—is a powerful motivator for states to pursue such weapons, often even in the face of high social and political costs, as the cases of Iran and North Korea attest. What do you think? Does North Korea’s nuclear program present a threat to the United States? Is North Korean nuclear policy best explained as a rational pursuit of the national interest? And how does international law help us understand the debate surrounding the North Korean nuclear program? Take the poll or leave a comment and let us know what you think.